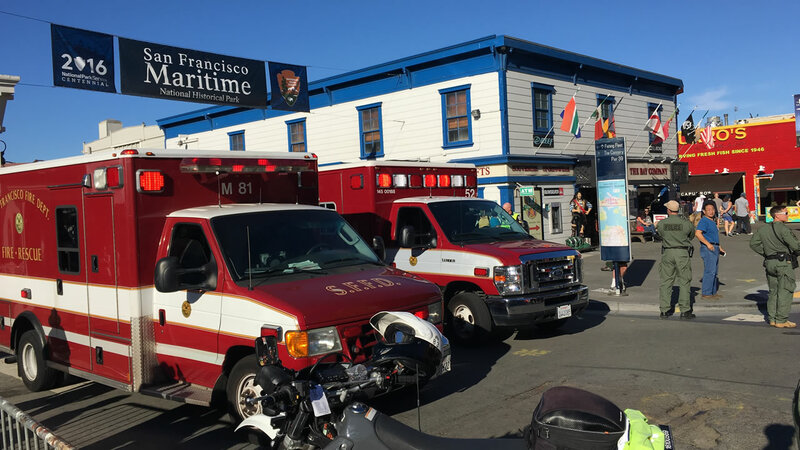 SAN FRANCISCO, CA -- San Francisco Fire is reporting that a boat capsized near Pier 45 with about 30 juveniles on board. Firefighters said in a tweet that some may be trapped under the hull. Police and fire are on the scene, as well as Coast Guard helicopters. A witness on the scene is reporting she saw young people wearing blankets who appeared to have been rescued from the water.